We all need a bit of Vitamin N (that’s N for Nature) in our lives and it’s especially true for children. There are a multitude of benefits to nature play which include physical and cognitive development to sensory stimulation, just to name a few. 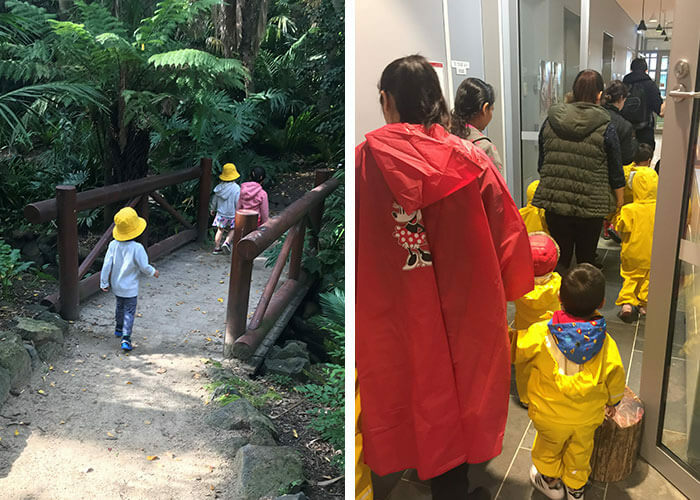 The children from Guardian Early Learning – 101 Collins embark on regular “Out and About” excursions where they visit local parks and explore the wonders of nature. During these outings nature is their classroom and their teacher. The wonderful thing about these nature play excursions is that children of all ages can participate and enjoy the benefits of nature play. Younger babies enjoy the sensory elements such as the sounds, sights, smells and textures of the environment, from the freshly cut grass to the crunch of Autumn’s fallen leaves. 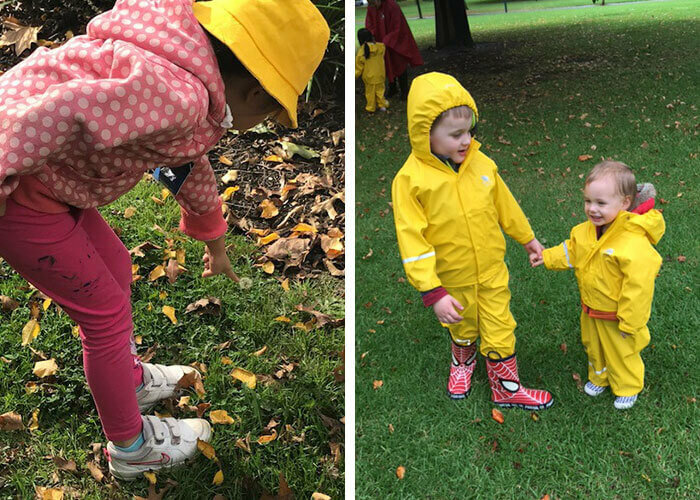 Older children take the opportunity to investigate and explore using the environment to teach them about science (seasons, bugs and grubs), mathematics (measuring speed, depth of a puddle and height of a tree), problem solving skills and risk taking. 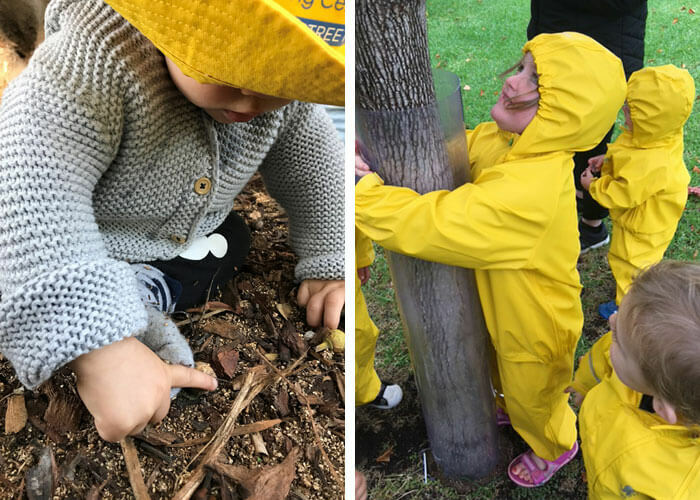 It has been well researched that children need nature for the healthy development of their senses, and therefore, for learning and creativity. Children use their imagination, which is different to what is possible indoors with manmade materials – a stick in nature play can become anything if you allow creativity to flourish and know no bounds! Sometimes learning will be continued at the centre. Recently an educator found a lifeless dragonfly in the park which opened the pathway for learning about life cycles. When the dragonfly was carefully transported back to the centre the educator placed the dragonfly under a microscope. The children took turns to observe the dragonfly and discussed the patterns of its wings, some perhaps more mathematically minded children tried to count all the diamonds making up its wings, others used fine liners and charcoal to recreate their perceived view. These regular Out and About excursions are loved by not only the children, families and educators, but by the local community too. The children from Guardian Early Learning – 101 Collins will be out and about regularly throughout the year, so be sure to keep an eye out! 101 Collins is a beautiful new early learning centre in the heart of Melbourne. With custom-designed interior and exterior spaces, a team of dedicated multi-lingual educators and nutritionally balanced meals, it’s a wonderful place for children to learn and grow. To see this amazing centre for yourself, book a tour via our online form here.